We had Harmony Day at work today and everyone had to bring something from their country of origin. 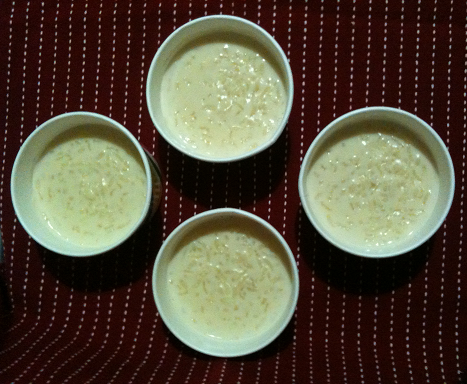 Being Greek and leaving it to the last minute the easiest thing I could think of to cook was Rizogalo or Greek Rice Pudding. I decided to make it with lactose free milk because Greek Rice Pudding dessert is my favourite and wanted to have some as well. 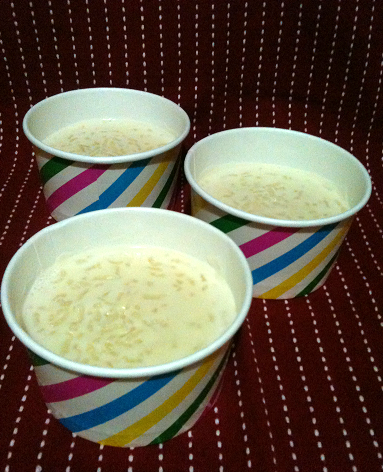 This Greek Rice Pudding is without eggs as well. I found an easy recipe on the SBS food website and had some assistance from my mother who insisted I put water in as well as milk because it's not Greek otherwise! Can't argue with mum. Of course she was right as one of my co-workers said it was the best Greek Rice Pudding he has ever tasted. I don't know if he was just being nice but I will accept the compliment and gladly. Another co-worker said it was light and fluffy and wanted the recipe. 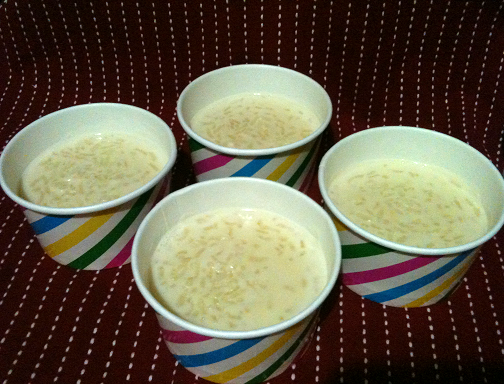 So below is the recipe I used which is part Greek mum Rizogalo recipe and part SBS Greek Rice Pudding Recipe. This is an easy recipe which did take around 45 minutes to cook on the stove top. I got six small servings out of it. Heat milk, water and rice in a saucepan on medium heat, stirring frequently until it starts to lightly boil or is simmering. Add sugar and vanilla extract and stir to combine all ingredients. Reduce heat to low and simmer for 30 minutes, stirring frequently, until rice is tender and consistency has thickened. Spoon rice into small serving bowls and sprinkle with cinnamon. Serve either hot or cold. It can be eaten both ways enjoyably. We picked a lot of pears in the last few weeks from the tree in our backyard so I went looking for a paleo recipe with pears in it. There are very few. A lot of the recipes I found had coconut flour and almond meal in them but I don't have much coconut flour left and the store to get it from is too far away so they weren't good. Then I came across a basic almond meal recipe from Best Recipes which was perfect. 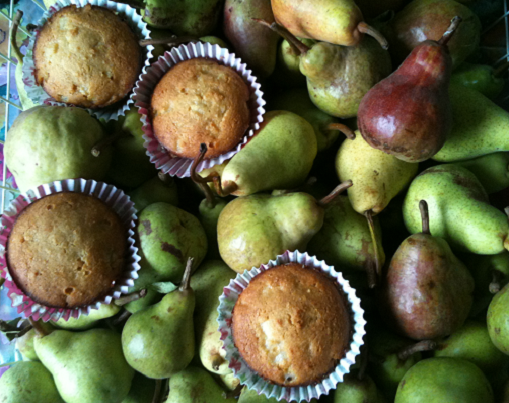 I changed it around a little and came up with this easy, incredibly delicious Paleo Almond Meal Pear Muffin Recipe. Combine all the ingredients except the pear in a bowl and whisk until well combined. 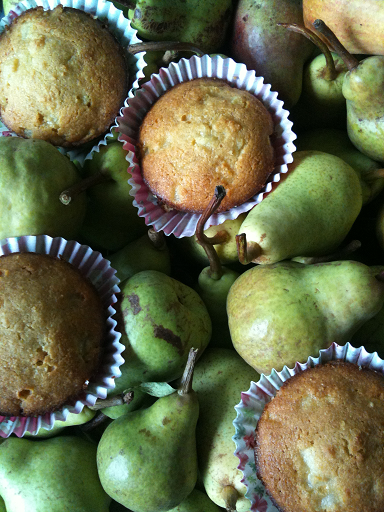 Mix in the pear until evenly distributed. Place four muffin liners in a muffin tin. 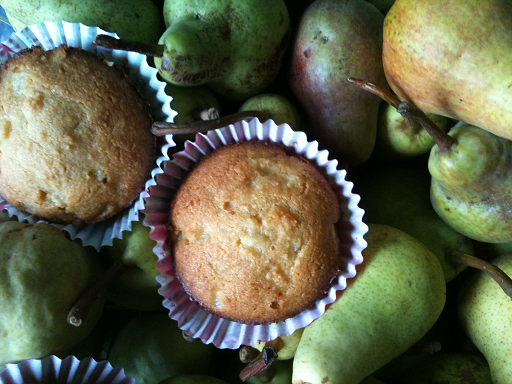 Divide mixture evenly amongst the muffins and bake for 20 minutes or until golden brown. Note: Can freeze up to 3 months. I know peanut butter is not paleo but I am not giving it up. I love it. 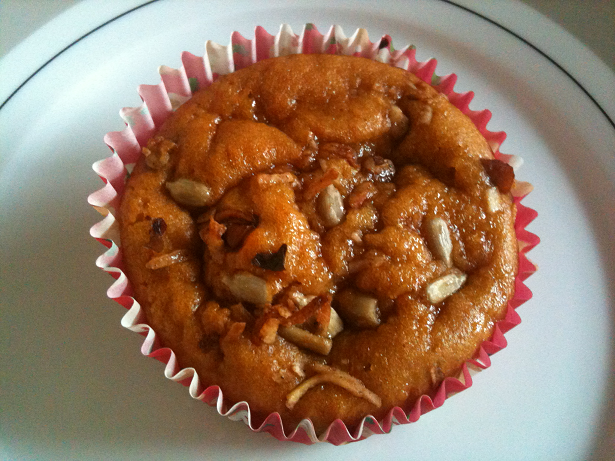 So I went searching for a paleo peanut butter muffin recipe and found this delicious, light, moist creation. It is super easy to make, easy on the tummy and very filling. You can't go wrong with this one. Only if they were all this easy to make. Preheat your oven to 180C/350F degrees. Place all ingredients minus the granola into a food processor and mix until well combined. Evenly distribute the batter amongst the muffins tins and top each muffin with granola. Allow to cool on a wire rack and store in the fridge.